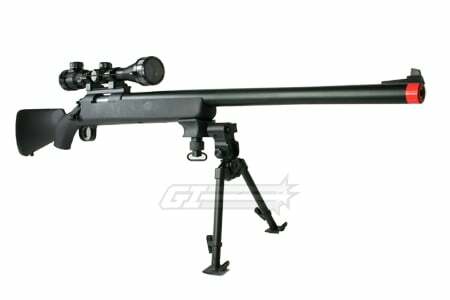 The JG BAR 10 Spring Sniper Rifle is the latest and greatest spring sniper rifle to hit the market since the Marui VSR10. This spring sniper is fully upgradeable to shoot over 500FPS! It is equipped with metal cylinder assembly and metal trigger assembly for durability and reliability. 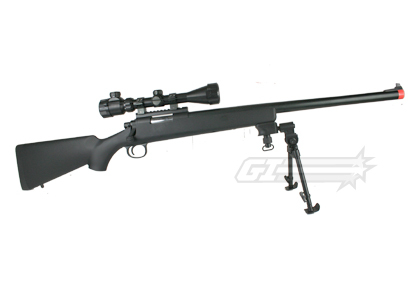 The BAR-10 from JG is the all around best sniper rifle package available. The gun is fully upgradeable, light weight, and accurate. Straight from the manufacturer it comes complete with the gun, 3-9x zoom scope with lens covers, speed loader, magazine, manual, and all of the hardware you need to assemble the gun. 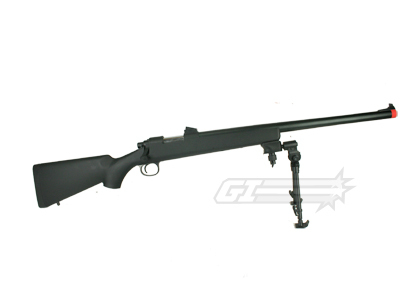 If you are looking for an inexpensive bolt action sniper that performs well and has a lot of potential then the JG BAR 10 is for you. Package Includes: gun, magazine, scope, scope rings, scope lens covers, top rail, speed loader, manual, and hardware. 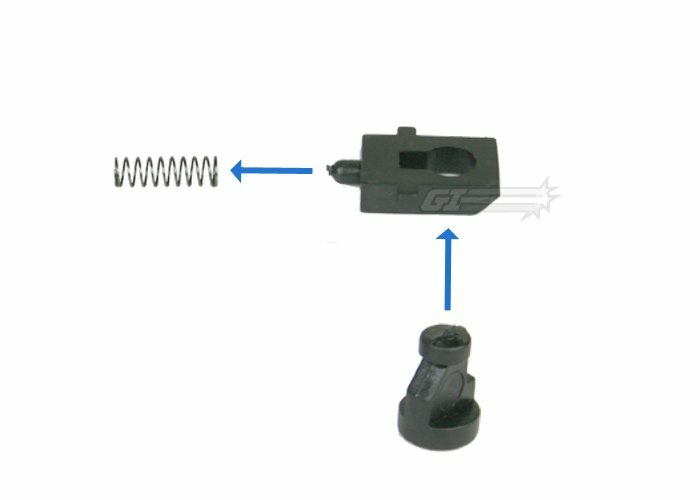 The JG Bar 10 requires some assembly and includes a number of small parts. Each JG Bar 10 is checked for these parts before leaving our store. Make sure you do not lose these parts because replacements may not be available. The scope base is attached with only 2 screws as those are the only available slots that the mount base attaches by. Disregard step 6-2 of the manual. 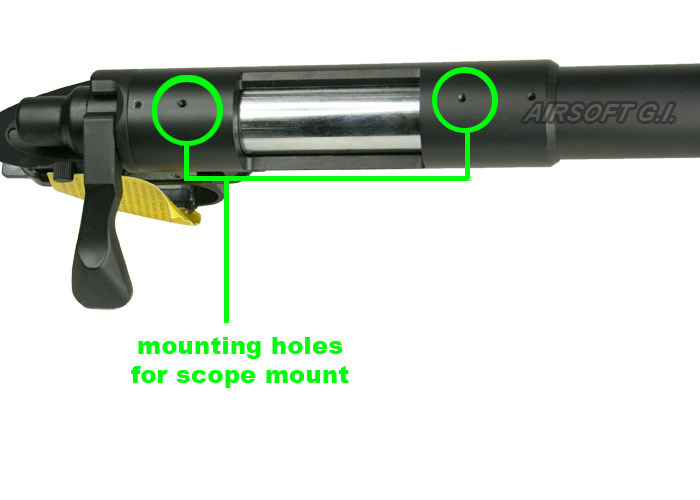 For installing the scope mount refer to our diagram in the product description. The bi-pod pictured is not included. For the price and upgrade capability, this is a good buy for those on a budget. Very accurate out of the box with minor issues like right curving and slam firing but that is expected with springers. Overall, it performs really well with a good price. 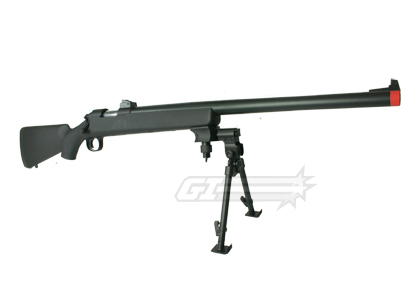 I was looking to get a inexpensive, high quality, accurate airsoft sniper and boy, did this gun deliver. It has a great feel (nice and heavy). The gun has lights in the scope to illuminate at night, they can be red or green. It is comfortable and looks great. The instructions are unclear but luckily Airsoft GI had a video on the assembly! if i want to add a muzzle break or suppressor what size do i need? You would need to buy a separate thread adapter in order to attach a 14mm flash hide to this rifle. We recommend using .20g-.25g weight BBs. What is the weight of the gun only, NOT the total shipping weight? what mags do this gun use??? This gun uses the JG BAR 10 30 rd. Spring Rifle Magazines. Since this is the scope package, do the iron sights still come with the gun or are they taken out? 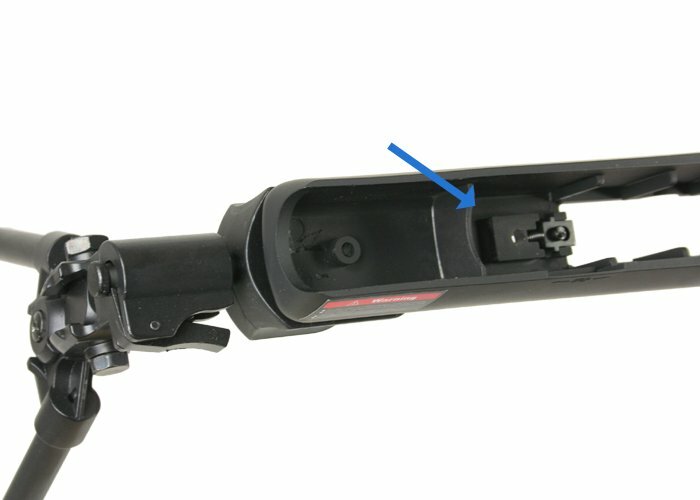 Front Iron Sight should still be there. What bipod can i use for it? What biood can i use for it? Any bipod with a Picatinny rail adapter or bipod lug adapter will be compatible. What type of Hop-Up lever does this take, Type-A or Type-B ? It should be a B type? How many mm is the inner barrel ? What kind of magazine does it use? So I can get a few extra magazines. How long is the JG Bar 10 so I know what size case to get? Length of JG BAR 10 is 42.5in.